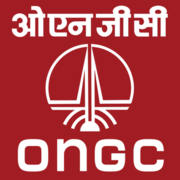 ONGC Recruitment 2019 - Apply Online for 86 Class III & IV Posts in ONGC, Tamil Nadu. Online Applications are invited by Oil and Natural Gas Corporation (ONGC) from 31 Jan 2019 to 20 Feb 2019 06:00 PM for 86 vacancies. A2 3 years Diploma in Electronics/Telecom./ E&T Engineering or MSc. In Physics with Electronics. A2 3 Years Diploma in Civil Engineering. A1 Matric with Science and Trade certificate in Auto/ Fitting/ Diesel/ Instrumentation/ Turner/ Machining/ Tractor/ Motor vehicle/ Welding/ Black smithy/ Boiler Attendant/ Machinist Grinder Trades. Should have valid Heavy Vehicle Driving Licence. A1 B.Com with proficiency in typing 30 w.p.m and Certificate/Diploma of Minimum duration of six months in Computer Applications in the office environment. Tests apply. A1 Intermediate with 6 months experience in fire services. Valid Driving Licence for Heavy Vehicles essential. Driving Test on Fire Tender/ Heavy Vehicle applicable. Physical standards test as per details given below at Table 2. Physical Efficiency Test as per details given below at Table 3. A1 Graduate with Typing speed 30 w.p.m. Certificate/Diploma of minimum duration of six months in Computer Applications in the office environment. Tests apply. A1 Matric with Science and Trade certificate in Fitting. A1 BSc with Physics or Maths as one of the subjects with proficiency in typing 30 w.p.m with Certificate/Diploma of Minimum duration of six month in Computer Applications in the office environment. Tests apply. A1 Matric with Science and Trade certificate in Electrical trade. Should have valid Certificate of Competency as Electrical Supervisor. A1 Matric with Science and Trade Certificate in Welding. A1 Graduate in Hindi with English as one of the subjects. Typing speed 30 w.p.m in Hindi. And Certificate/Diploma of minimum duration of six months in Computer Applications (including Hindi) in the office environment. Tests apply. W1 Matric with Fireman’s training of three months duration. Valid Driving Licence for Heavy Vehicles essential. Driving Test on Fire Tender/ Heavy Vehicle applicable. Physical standards test as given below at Table 2. Physical Efficiency Test as per details given below at Table 3. Proportionate to height but not less than 46 kgs. Eligible candidates may apply online at ONGC's website (direct link is given below) from 31 Jan 2019 to 20 Feb 2019 06:00 PM.